Do you have what it takes? Do you have ideas for improving Jewish life on campus and making it thrive? 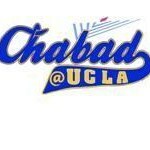 Then join the Chabad Student Leadership Board! Help plan events, impact decisions, and develop your skills as a community leader as part of the ChaBoarD. The Board empowers students to fulfill leadership roles and responsibilities in the campus community and society at large. We are committed to helping students explore and optimize their leadership potential by offering students project leadership and meaningful responsibilities. President - responsible for overall running of organization, for communication amongst the student board and staff, and for engagement of the student board and general student body. Treasurer - responsible for working with potential co-sponsors and student government to secure funding for events, and working with staff to develop other funding opportunities. Secretary - responsible for arranging and taking minutes of board meetings, ensuring communication between the board members, and keeping them appraised of their responsibilities. Publicity Coordinator - responsible for publicizing to the general student body all events and programs, maintaining spcial media presence, updating online calendar, interacting with co-sponsoring groups, and coordination with other board members to ensure proper publicity. Shabbat Coordinator - responsible for planning and enhancing Shabbat events, assisting with cooking, setup and decorating for Shabbat dinners, helping to attract students to Shabbat programs, and coordinating student volunteers to help prepare for Shabbat. Education/jLearn Coordinator - responsible for developing and generating interest in classes and educational events, arranging spaces and refreshments for classes, reminding students to attend, and assisting with special field trips and graduating events. Programming & Events Coordinator - responsible for coordinating new program ideas and development, coordination of all programs and events, and interaction with and delegation to other board members and committees. Hill Coordinator - responsible for coordinating programs and events on the Hill, reserving space, obtaining permits, and working with other board members and committees. Sinai Scholars Coordinator (available to Sinai Scholars alumni) - responsible for recruiting new Sinai Scholars applicants, arranging interviews, rooms, and make up sessions, as well as assisting to plan Shabbat, field trip and graduation. Born in Massachussetts in the last century, Elisa hails from back east and still yearns for it once in a while. She is a great hostess and Torah teacher with clear grasp of Jewish concepts and laws. She is also a talented baker and cook for all things gourmet and kosher. Come Friday night and taste for yourself! Mushkie - born in Tarzana, CA in 2003, Mushkie loved UCLA at first sight. She enjoys reading, learning obscure words and historical facts, acquiring foreign languages, drawing, helping mommy, computing, and healthy eating! Mendel - another Valley kid, Mendel first came to UCLA on Cinco de Mayo, learned to walk here and loved it ever since. He enjoys playing video games, sports, learning Chumash and dairy foods. Leyke - this kosher-for-Passover kid attended her first UCLA event - Seder - at the age of 10 hours! She loves hanging out with students, giggling, and cleaning and baking with mommy. Yingy (Yakov)- the first one "not from the Valley," this kid is ready to take over Westwood with his smarts! Rochel - born at UCLA Medical center, this one is a Bruin through and through! Yossi - Mr. Boss is a hurricane and a force of nature. Rochel - the newest kid on the block has been charming everyone with looks and smiles since 2018.